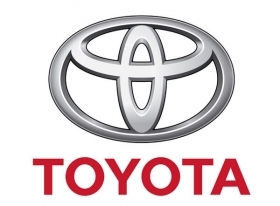 TOKIO (Bloomberg) -- Toyota Motor Corp., which traditionally gets a majority of its profit in the U.S., will outline a strategy for growth in emerging markets in a 10-year plan the Japanese automaker is set to release this week, two people familiar with the plan said. Toyota also aims to cut two vice-chairman positions and shrink its board to 17 or fewer members from 27 as part of the biggest management shakeup in eight years, said two people, who declined to be identified as the information is private. President Akio Toyoda will present Toyota's "Global Vision 2020" plan on March 9 to help boost sales after record recalls contributed to the world's largest car company becoming the only major automaker to post falling deliveries in the U.S. last year. As part of Toyota's focus on emerging markets, the carmaker added the Etios compact in India in December, which will also be modified for sale in China, Thailand and Brazil. Toyota relies on North America for about 60 percent of its operating profit, excluding exports, according to the automaker. Executive Vice President Yukitoshi Funo has dubbed the Etios the "21st Century Corolla," a reference to its bestselling compact model. "Toyota has started to introduce models for emerging markets and that should be a core part of their mid-term strategy," said Satoru Takada, an analyst at TIW Inc. in Tokyo. "The old strategy of taking a hit model from the U.S. or Japan to emerging markets is expected to change." Investors and analysts have called on Toyota to reveal more about plans for next-generation models, shifting production away from Japan and boosting sales of luxury models. Toyota will also include measures to strengthen its quality control in the plan, the people said. Toyota's slimmer board may help it adapt to challenges and changes in the global industry more quickly, the people said. Former President Katsuaki Watanabe will become an adviser without a board vote, and former head of research and development Kazuo Okamoto will move to an affiliate, the people said. "Toyota has seemed cluttered with too many board members, and that has had consequences," said Tadashi Usui, an analyst at Moody's K.K. in Tokyo. With Volkswagen AG aiming to surpass Toyota as the world's largest carmaker by 2018, and competitors including General Motors Co. and Hyundai Motor Co. also gaining ground on Toyota, management has been divided over whether it should be more aggressive or remain cautious, said two Toyota group executives, who declined to be identified. In Toyoda's testimony before Congress in February 2010, during the height of the recall crisis, he linked vehicle defects to the rapid expansion that pushed the company to the top of the industry. "Quite frankly, I fear the pace at which we have grown may have been too quick," Toyoda, 54, said. The grandson of Toyota's founder has advocated a return to founding principles such as "putting the customer first" and "genchi genbutsu," or "going to see things first-hand." Toyota is continuing a cautious approach even as analysts say the company lags behind rivals in emerging markets such as China and India, said Karl Schlicht, head of the global product and marketing division at Lexus, the carmaker's luxury brand. "We're not going all out to go as fast as we can in China," he said. "We've learned a big lesson. We want to be careful." Toyoda's 2020 vision revises a plan outlined by Watanabe in November 2007, which included a goal of offering hybrid versions of all its models and commercializing next-generation battery technology and new modes of mobility. Watanabe, 69, said in 2006 he expected the company's operating margin to grow to 10 percent from 8.5 percent at the time. That compares with 2.9 percent for the nine-month period through December. The company expects to earn 490 billion yen ($5.95 billion) in net income in the year ending March 31, a figure that may almost double to 922 billion yen in the year ending March 2013, according to the average of 14 analyst estimates compiled by Bloomberg. That's still below the record 1.7 trillion yen it earned in fiscal year 2007.